Perfect way to combine journaling & coloring! The perfect way to combine journaling and coloring - two of the hottest trends in crafting! 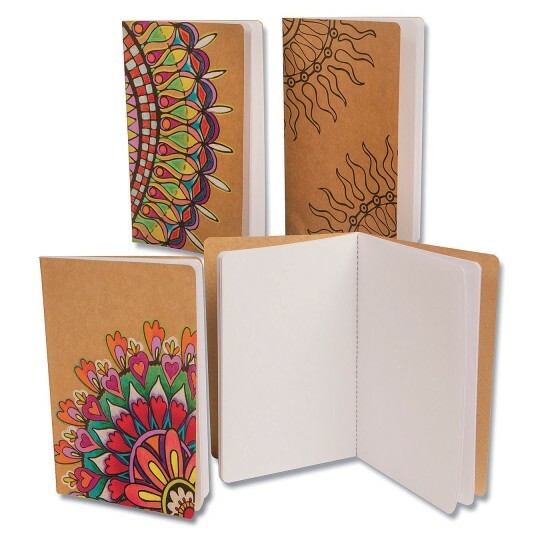 These natural kraft colored journals feature fun to color black designs on the front and back covers to decorate with colored pencils, gel pens, or markers (sold separately). Features stitched binding and 32 blank white pages. Measure approx. 5” x 8-1/4”. 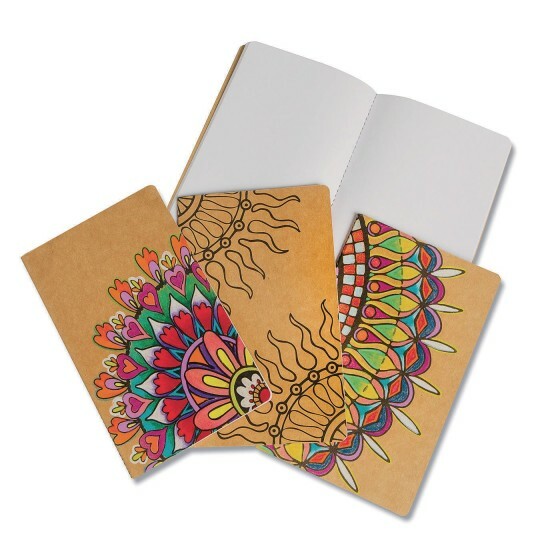 Pack of 12 includes 4 each of 3 awesome designs.